Online estate agents are growing in prominence but where should you start? If you've decided to sell your house online here are the seven steps involved. In this guide, we cover the steps you need to take if you do decide to sell online. But which one? There are a lots of online estate agents out there, including YOPA, Easyproperty and PurpleBricks to name but a few. Take a look at our online estate agents comparison table to see what they charge, how well they do at achieving asking price, customer ratings and our verdict, and lets you rank and shop around all in one place. Fees are the biggest attraction of online estate agents because they vary from around £100 to £1000. High street agents in contrast charge between 0.75% and 3.0%+VAT commission of the agreed selling price for your home depending on the type of contract you opt for. Even with a commission of 1.5% you will pay £4,500 if you sell your home for £300,000; which feels extortionate compared to online estate agent fees. To get the lowest fees on offer you need to select the pay up-front option. You can pay later, but online agents charge more for the privilege. Online estate agents then charge different amounts according to the package that you choose (ranging from ‘standard’ to ‘enhanced’ or ‘premium’, for example) so shopping around is important to ensure that you find the right package and price to suit your needs. Make sure photography, floor plans, advertising on Rightmove and Zoopla, plus a For Sale board are all included in the basic package. Every other service they offer is likely to come at an additional charge. So make sure you do your sums and are only paying for additional services you want/need. Be aware that ‘extras’ such as Energy Performance Certificates, premium listings on marketing portals, social media campaigns and accompanied viewings can incur additional (sometimes very expensive) fees. Also, always ask if the marketing of your property is for a fixed or unlimited period as some estate agents packages last six months, others a year. 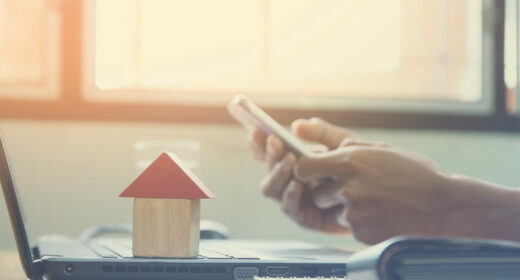 Yes, you’re looking at using an online estate agent, but valuing your home from a nationwide call centre, using online data or even using an online agent’s “local” property expert is unlikely to give you the right price at which to start marketing your home. Your local agent will know your local housing market better than anyone else so will be better equipped to do this. Ask at least 3 agents round to value the property and discuss marketing. You never know, they may convince you not to go with an online agent. Just remember, that getting the right valuation is incredibly important, not only in terms of a final sale price, but also the speed of a sale. Depending on what your chosen online estate agent offers, they will usually dispatch an agent to take photographs, create floor plans and produce your Energy Performance Certificate. They will then either write your property details for you to check or you can write them yourself using their online system. Most online agents are pretty efficient at doing this (within a week) and are quick to get your property live on the major portals. Usually you will be asked when you are available for viewings and the online estate agents will book buyers in using a dedicated online system that only you and the agent can access. The default option with online estate agents is that you show potential buyers around your property. With the growing popularity of PurpleBricks – a hybrid agent that offers an online service with the added presence of local property experts to conduct viewings – other online estate agents are following suit by offering add-on options to conduct viewings. Speak to the agent to understand how many viewings are included in the additional price, who will conduct them and how it will work in practice. Beware as the costs could quickly add up. Make sure that after every viewing the estate agent asks for feedback and that’s passed through to you. Don’t be afraid to contact your online agent regularly to keep the pressure on, especially if viewings are slow. When an offer is made the online agent should vet the applicant to make sure they have the funds in place and they are in a position to purchase your property. The agent should pass all this information on and guide you through the process of negotiating and accepting an offer. If you would rather be in charge of this process yourself you can speak to the buyer direct to negotiate. Selling online should give you that flexibility. Join us today and let us help you every step of the way through the home selling process. Good estate agents should help with sales progression through to completion. But this of course depends on the quality of the estate agent. You may feel you don’t want someone meddling in the process or you may want them to do it all, including liaising with both sets of solicitors and estate agents up and down the chain. Decide what is important to you when appointing an online estate agent and make sure if you want to be hands off that they will step up and drive things forward. Read further advice in our guide How do I break the housing chain? Exchanging contracts is the point at which the sale becomes legally binding and is largely in the hands of your conveyancer. You and the buyer should agree the date of completion – the day the money is transferred and your home is sold – in advance. As most on-line estate agent packages involve an up-front payment for marketing there aren’t any hefty commission fees to pay at this point. So it’s time to crack open the champagne!